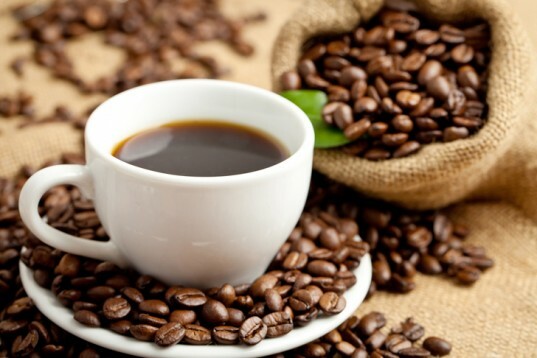 A yet unidentified component of coffee protects against Alzheimer’s disease. A new Alzheimer’s mouse study found that a serving of coffee a day boosts blood levels of a critical growth factor that seems to fight off the Alzheimer’s disease process. Using mice bred to develop symptoms mimicking Alzheimer’s disease, the researchers present the first evidence that caffeinated coffee offers protection against the memory-robbing disease that is not possible with other caffeine-containing drinks or decaffeinated coffee. Previous observational studies in humans reported that daily coffee/caffeine intake during mid-life and in older age decreases the risk of Alzheimer’s disease. The researchers’ earlier studies in Alzheimer’s mice indicated that caffeine was likely the ingredient in coffee that provides this protection because it decreases brain production of the abnormal protein beta-amyloid, which is thought to cause the disease. Coffee is safe for most Americans to consume in the moderate amounts (4 to 5 cups a day) that appear necessary to protect against Alzheimer’s disease. The researchers previously reported this level of coffee/caffeine intake was needed to counteract the brain pathology and memory impairment in Alzheimer’s mice. The average American drinks 1½ to 2 cups of coffee a day, considerably less than the amount the researchers believe protects against Alzheimer’s.